Do you provide a newsletter subscription feature to your customers? 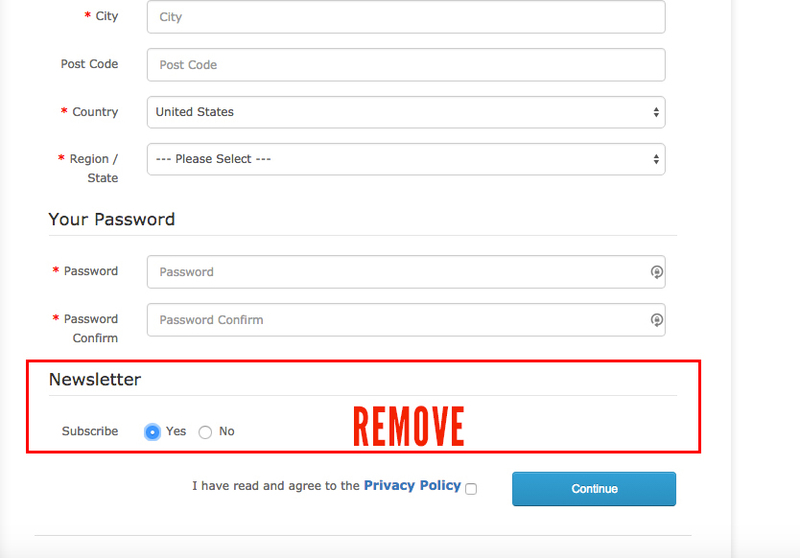 If not, then this extension will allow you to remove all newsletter links and options from your opencart website. When you install this extension, all the newsletter links and options in the frontend default theme will be removed entirely. * Simple VQMOD/OCMOD script plug and play. No files to edit or overwrite. * No external VQmod required. * Easy installation through the admin page. * No files are overwritten. 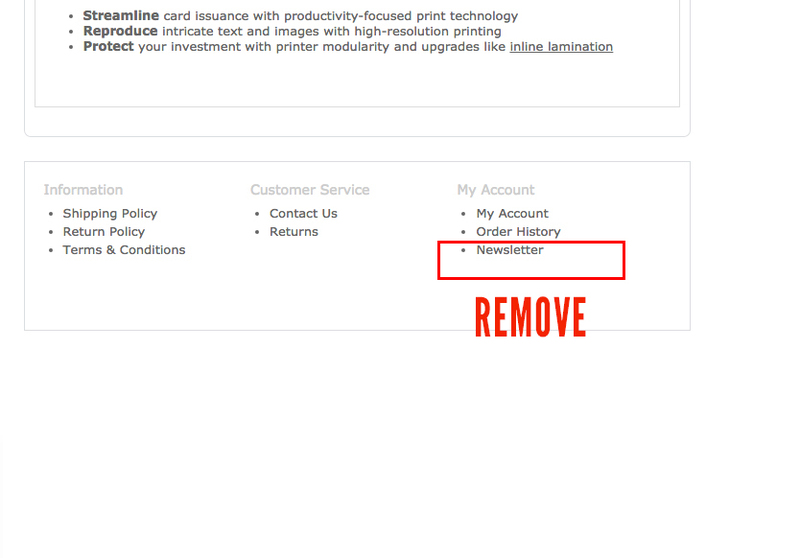 * Removes Newsletter in footer. * Removes Newsletter from the shortcut menu in Account page. 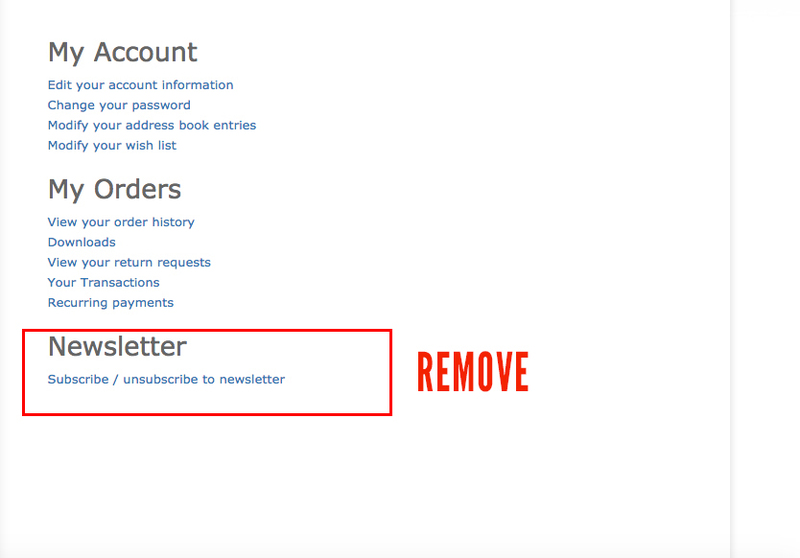 * Removes option to subscribe to Newsletter from Register Account page. 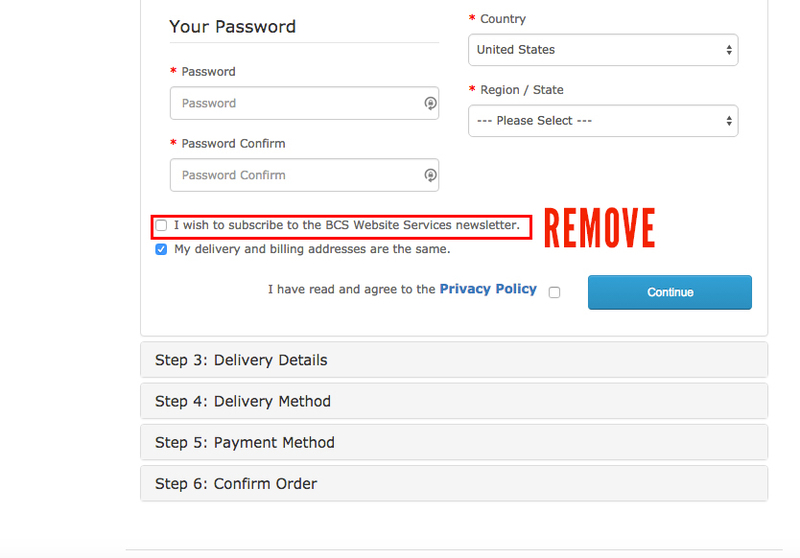 * Removes option to subscribe Newsletter from Checkout page when registering a new account. Login into your administrator dashboard. 2. Go to Extensions->Extension installer. 3. Upload the upload.ocmod.zip archive to install the extension. 4. If installed correctly, you should see a success message. If it isn’t working or you get errors, then your theme may need adjustments for it to work. Please use our support page to contact us, and we will adjust for your theme.